Let this charming ring remind you of your storied travels. 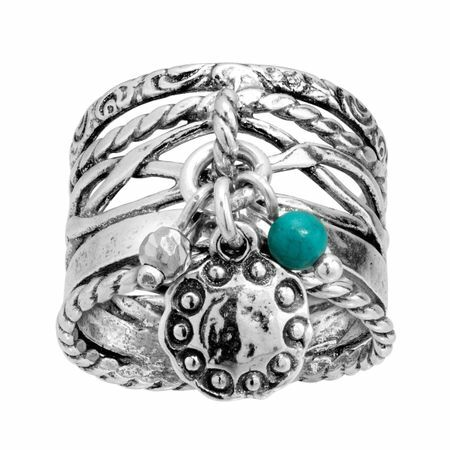 A turquoise bead is offset by sterling silver charms and a multi-band face, which features several textured designs. Ring face measures 9/16 inches in width.